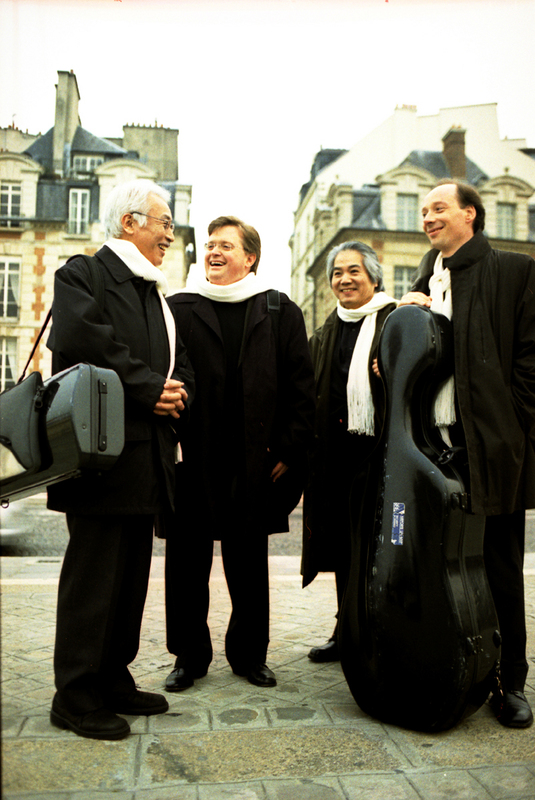 After 43 seasons, the Tokyo String Quartet announced that 2012-13 would be their final season together. This group was officially formed at Juilliard School of Music in 1969 by founding members Kikuei Ikeda, violin and Kazuhide Isomura, viola. Other members include Martin Beaver, violin and Clive Greensmith, cello. We're happy to host them on their final tour this Friday, October 19 at 8pm. 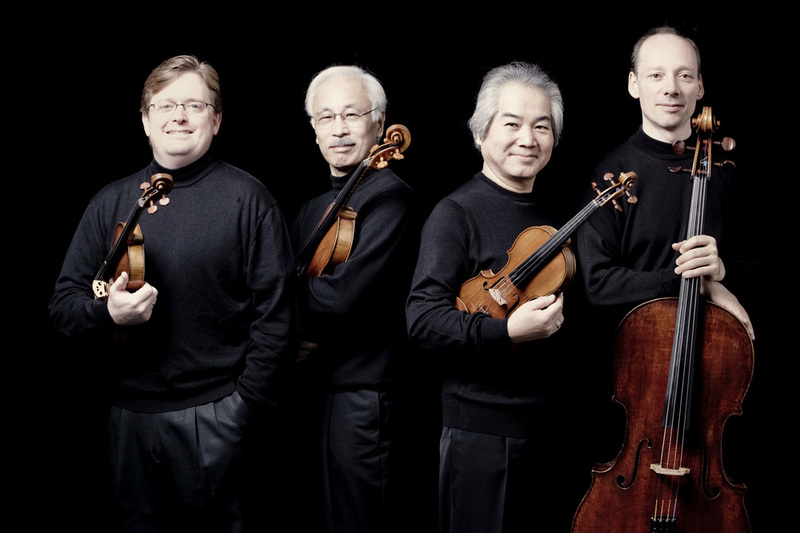 Tokyo String QuartetTokyo String Quartet has played venues all across the globe, and has been featured on numerous television shows including "CBS Sunday Morning," PBS's "Great Performances," and even "Sesame Street." They took time out of their busy tour schedule to answer a few questions for us, and we're happy to share them with you! 1. How many countries have you performed in? Have you performed in every state? 2. How do you best introduce new audiences to chamber music? We try to program wisely, choosing pieces that we feel are relevant, that have a strong message for the public. We work with living composers and have commissioned many new pieces that have now become mainstream works in the quartet repertoire. We participate in a good deal of educational outreach and we are constantly working with young ensembles, helping them to forge their own distinctive styles. When we feel it appropriate, we give pre-concert talks and always encourage listeners to come backstage to ask us questions after the performance. We are always open to exploring different kinds of performance formats, open rehearsals, more informal venues, etc. 3. What will you miss most about each other when you retire? Sharing a beer together after a successful concert! The rehearsal process, though occasionally thorny, can be an invigorating and stimulating experience. We will miss the exploration of new repertoire and of course the chance to revisit some of the most compelling masterworks ever written. 4. Any surprising musical inspirations? We all love our teachers, Henrky Szeryng, Ivan Galamian, Victor Danchenko, Robert Mann and the members of the Juilliard Quartet (from the 1960s) Dorothy Delay, Hideo Saito, Donald McCall and Boris Pergamenschikow. More surprising might be the creativity and originality of Frank Zappa! We all read widely, some of us are enthusiastic film buffs and for Clive, the German tenor Fritz Wunderlich is a huge inspiration. 5. What has been the biggest challenge as a group? We have had several member changes, so the process of integration has certainly taken a good deal of patience and commitment. Keeping our performance standard at an extremely high level and managing a broad repertoire requires a huge amount of effort. You are only as good as your last concert. Tokyo String Quartet 6. Less music, what other talents do you possess; what do you do in your 'spare' time? Martin is an enthusiastic golfer and aviation buff. Kazu and Kikuei are passionate Yankees fans. Clive enjoys cooking. 7. If you had only 60 minutes left on earth and had to spend it playing one pop song over & over, what would that song be? 8. Do you have a favorite sport or team that you enjoy watching and supporting? 9. What profession other than yours would you most like to attempt? 10. Is there something you enjoy collecting? Kikuei - Japanese prints. Martin - model airplanes. We hope you'll join us this Friday, October 19 as we witness one of the greatest quartets on their farewell tour. Come early for a pre-show creative conversation at 7pm with all the members of the Tokyo String Quartet. See you there!